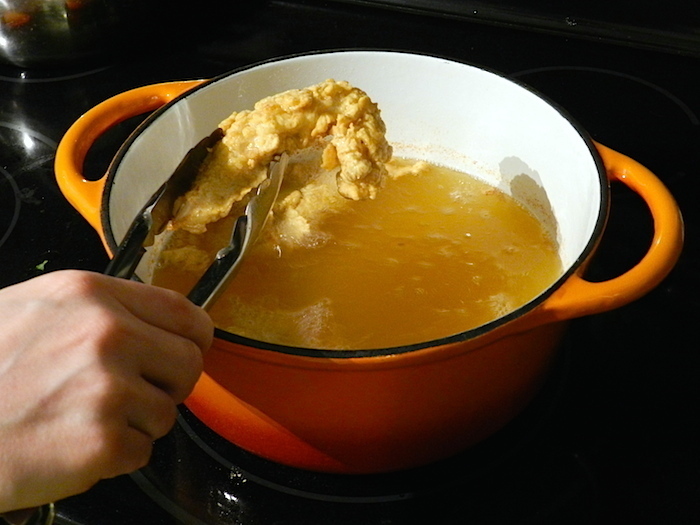 Mix the flour and spices into a bowl. 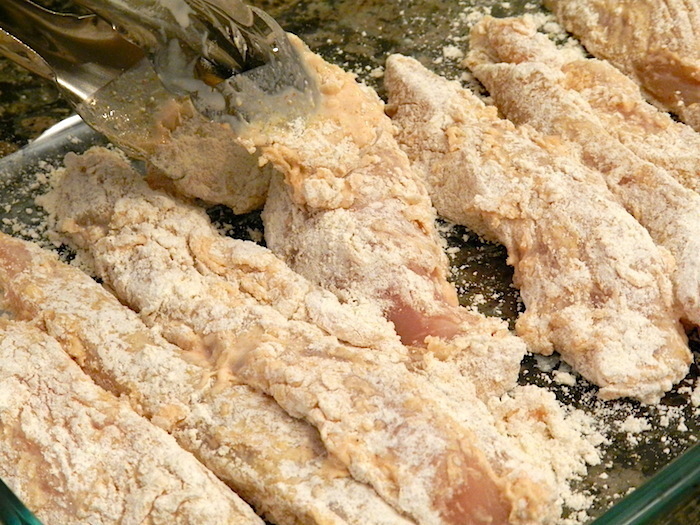 Take each chicken strip and coat thoroughly with the flour mixture. 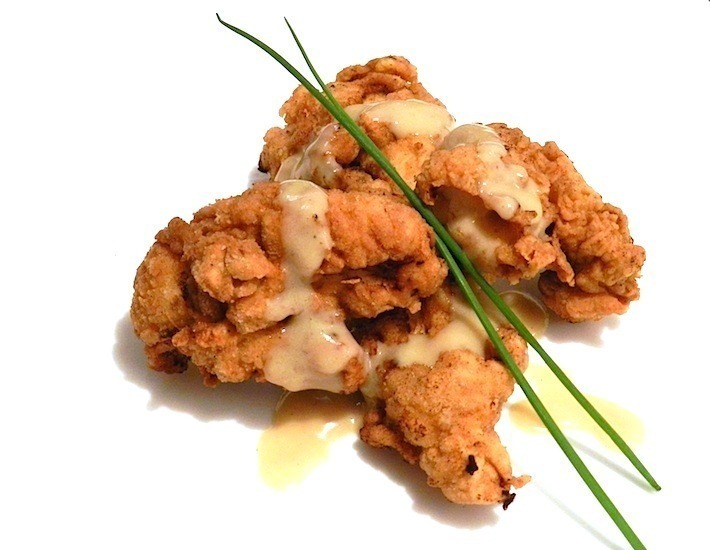 Once you are done coating all the chicken, take each piece and re-dip them into the buttermilk and then re-coat them in the flour mixture. You want a nice thick coating. 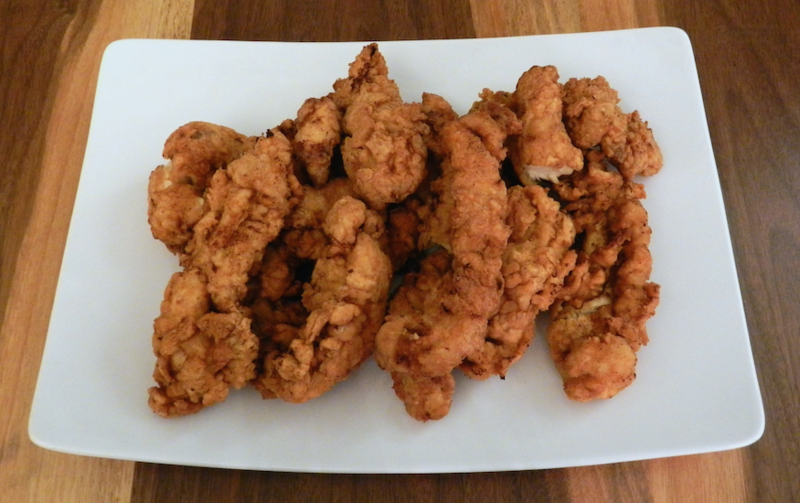 Fry each piece of chicken till its cooked through. I used some fairly large pieces and they took about 10 minutes each. 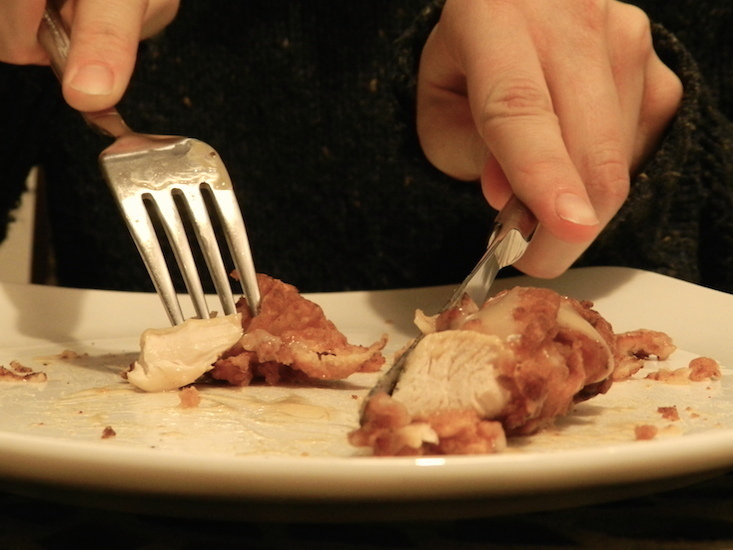 You can check for done-ness by cutting into the thickest piece to make sure the meat is not pink. Originally this post was about chicken and waffles. Not just any waffles... Sweet potato spelt waffles. 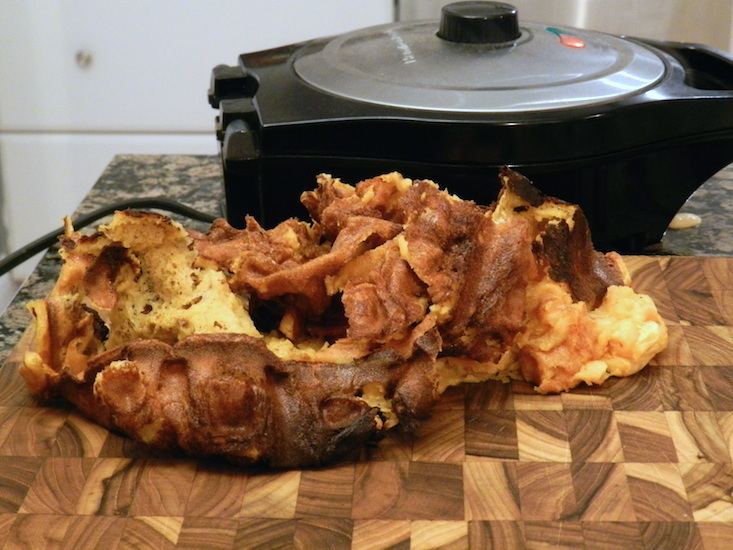 Now, I don't know what happened here, but the waffles DID NOT make it onto anyone's plates. They simply stuck and burned to the iron (no matter how well we greased it) and the centre was still gooey. There was no salvaging them. Here is a picture of the sadness pile. Luckily we saved the batter for breakfast and made sweet potato pancakes.